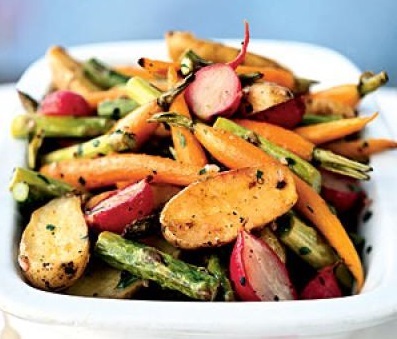 Enjoy the wonderful tastes of fresh baby vegetables with this Roasted Vegetable Recipe. By roasting the potatoes with the other vegetables you eliminate the extra step needed if you were to cook them separately. 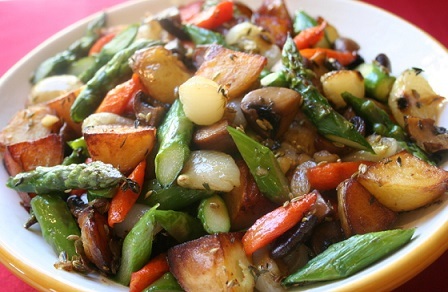 This restaurant vegetable recipe is quick and easy, but produces very full, delicious flavors. This vegetable recipe "works" with many different entrees, from baked chicken to steak and pork. 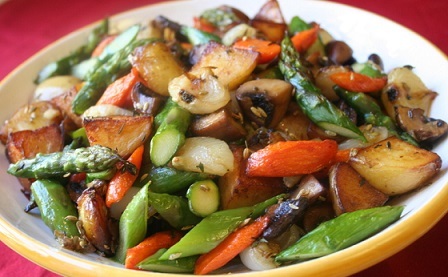 Enjoy your oven roasted vegetables and the company of those you share them with! 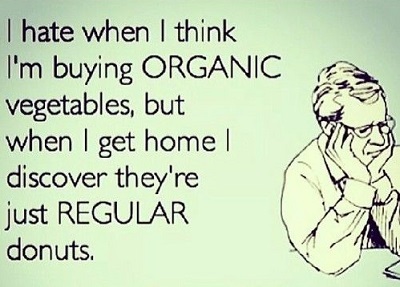 Please stay awhile and discover more restaurant vegetable recipes on the website.